What a perfect time to bring your group to the mountains! Crystal Mountain is a true summer paradise, with hiking trails, scenic Mt. Rainier Gondola rides to 6872′, 35 miles of mountain biking trails, disc golf, fishing in secluded lakes and horseback rides to majestic vistas. 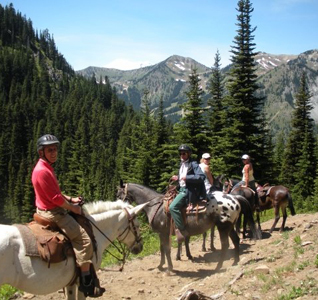 The days are long, giving your group ample daylight hours to explore all this area has to offer. The entrance to Mt. Rainier National Park is just minutes away, with all the breathtaking scenery and wildlife you can imagine. Family reunions, business retreats, club gatherings, church meetings, weddings – no matter the size or ages of your group, we can help make your summer group gathering perfect. Space for groups of up to 400 is available on all three levels of the main lodge, the chapel and outside on the sun deck. Lodging for up to 400 in charming condominiums within walking distance of Crystal’s main lodge.